Presley Griffies, '16 polymer and fiber engineering, is the product development manager at Unifi Manufacturing Inc., where she manages the company's commercial solution dyed polyester products. Protecting the planet is Presley Griffies' goal. Griffies, ’16 polymer and fiber engineering, is a product development manager at Unifi Manufacturing, which uses recycled water bottles to make fibers for the automotive and apparel industry. Griffies shares why she’s passionate about Unifi Manufacturing’s environmental cause, and why she’s proud to be a woman in engineering. Job title — Product Development Manager at Unifi Manufacturing Inc.
Give us an overview of what you do and why you enjoy it. I currently manage all commercial solution dyed polyester products. A vast majority of the products I manage are made from recycled bottle resin. 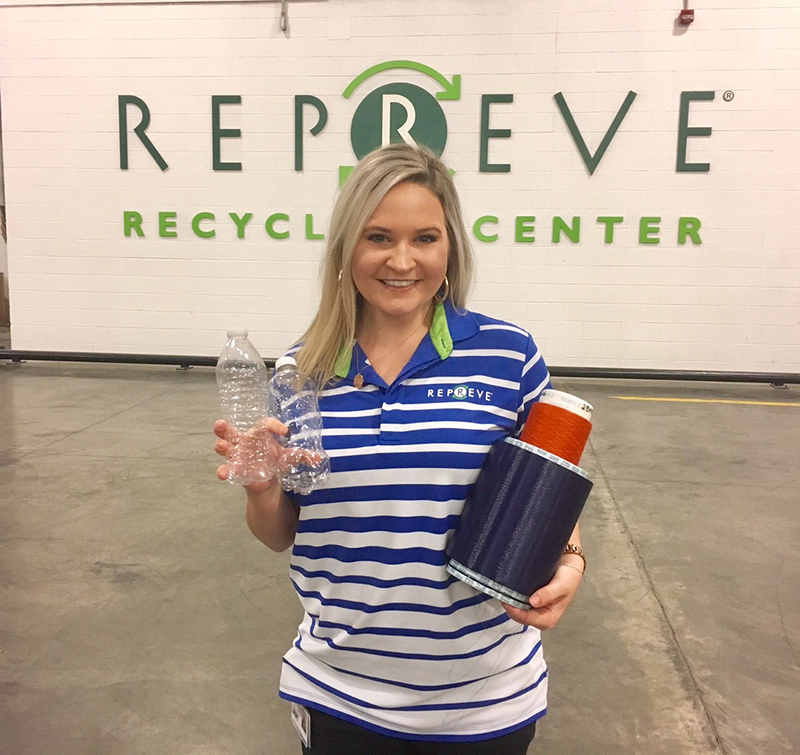 Since 2009, Unifi has transformed more than 4 billion recycled water bottles into fiber that go to multiple end uses, such as automotive and apparel, under the brand name Repreve. I believe this job is awesome because we are saving the planet while providing quality fiber to big name customers including Ford, Adidas and Patagonia. How has your Auburn Engineering degree prepared you for your career? My Auburn Engineering degree prepared me for my career by instilling in me the core values of hard work and commitment to greatness. My degree has taught me how to be a part of a team and how to work collectively with others to solve a problem. The challenges I faced at Auburn prepared me for the many “real-world” obstacles I have faced so far in my career. Lastly, my Auburn degree gave me the confidence I need as a woman in engineering. I am the only Auburn engineer that currently works for Unifi Manufacturing Inc.